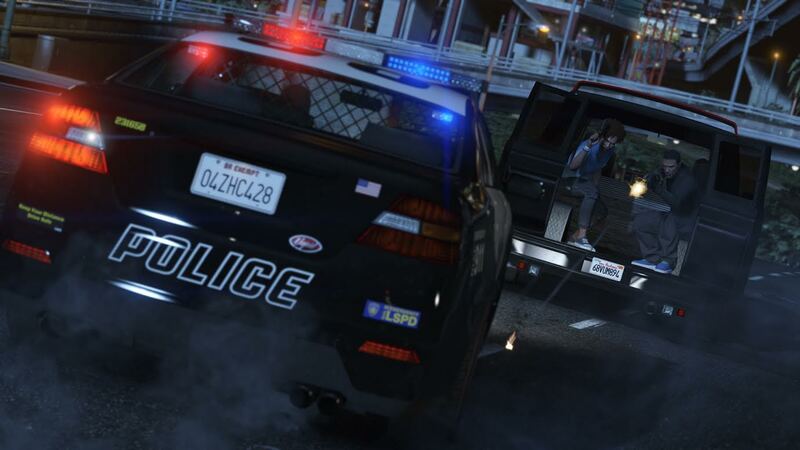 Online heists aren't the only major feature coming to GTA 5 next week. Rockstar revealed today that they'll be adding new competitive modes and activities to the game's multiplayer as well. Come Out To Play: "A team of three Runners just trying to make it home, and a team of Hunters are out for blood. Runners are well-armed but limited to movement by foot, while the opposition wield free-aim shotguns and ride motorbikes or ATVs. Hunters must stay on their bikes and have access to unlimited lives, while the Runners have just one life but all their weapons available to pick off the Hunters at will." Siege Mentality: "Up to four players stand their ground, outnumbered but not outgunned as they fight to survive against up to 6 determined attackers in a location defense mode, GTA style. Attackers have unlimited lives but fight only with sawn-off shotguns. Defenders have full use of all their weapons." Hasta La Vista: "The chase is on as Truckers in big rig cabs hunt down a team of Cyclists. The Cyclists' goal is simple: reach the final checkpoint without getting crushed under the wheels of the pursuing trucks. Without traditional weapons the Truckers must rely solely on their vehicles to crush the Cyclists. Meanwhile, the Cyclists must harness the maneuverability and acceleration of their bikes to evade the trucks, while keeping an eye over their shoulder. If one of the Cyclists reaches the checkpoint, the Cyclists win. If all Cyclists are terminated, the Truckers prevail." The "Hasta La Vista" mode's title and premise are inspired by Terminator 2. In that movie, a terminator tried to run down a kid on a dirtbike. 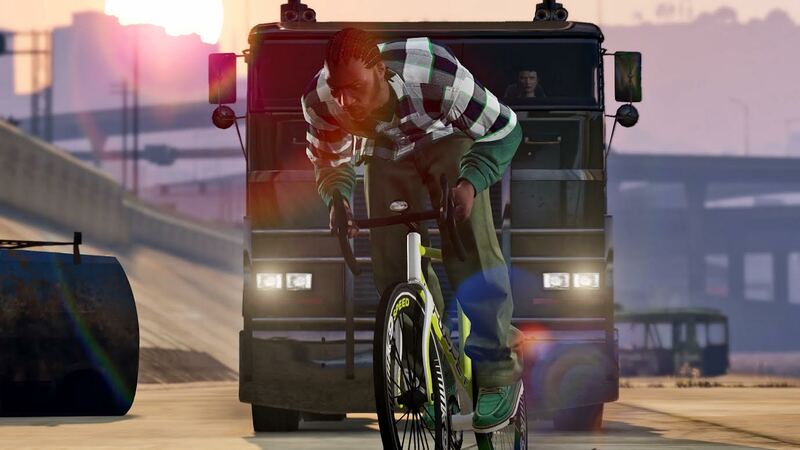 The iconic chase scene was actually recreated in a short film by GTA Online players. This new mode should make reenactment videos even easier. Next week's update will also give players new ways to earn money so they'll be less reliant on microtransactions. Players receive three random objectives per day that award GTA$. 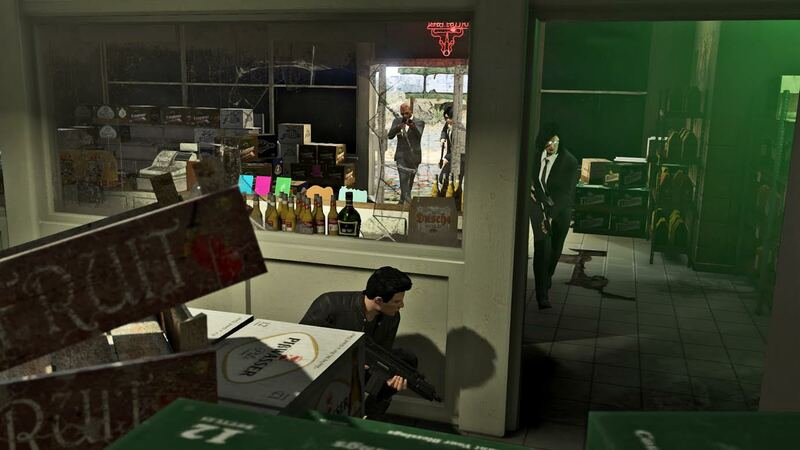 The game's NPCs will also call players with requests that can be completed for RP and cash. Lester will ask them to distract cops while Lamar will need some help destroying vehicles. Players can also shoot down airplanes on behalf of Trevor and Ron. The last feature announced today is email communication. 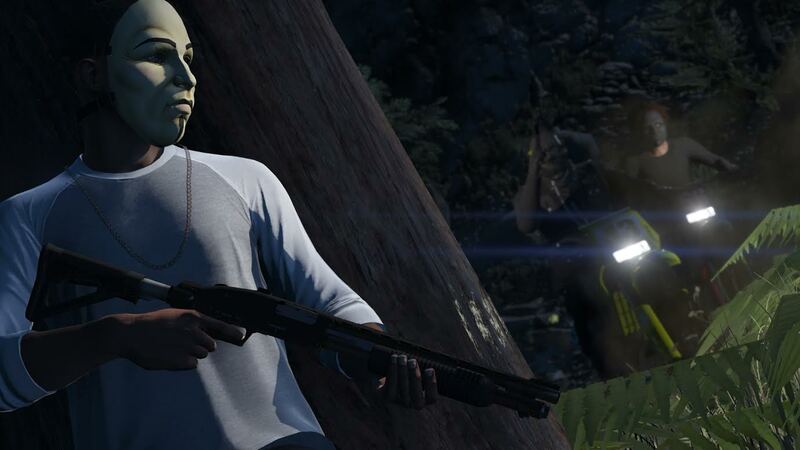 Players can shoot messages to any GTA 5 friends at any time during multiplayer. The four-player heists and this other content will debut on March 10th on Xbox One, Xbox 360, PS3, and PS4. It will also be available in the PC version when it launches in April.